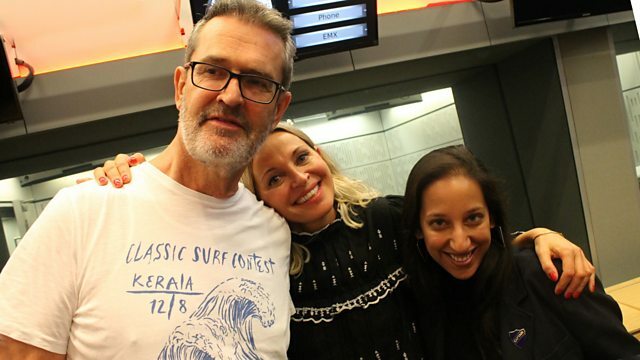 Nikki Bedi is joined by actor Rupert Everett, OMD's Andy McCluskey and broadcaster and journalist Bidisha for an eclectic mix of conversation, music and comedy. With music from OMD and Thabo. 'Quacks' is on Tuesday 15th August at 22.00 on BBC Two. 'Don't Panic, I'm Islamic' is published by Saqi and available now. 'The Punishment Of Luxury’ is out on 1st September on 100% Records. OMD are playing at Mandella Hall, Belfast on Tuesday 24th, Empire, Liverpool on Sunday 29th and Colston Hall, Bristol on Monday 30th October. Check their website for further dates. 'Lottery Ticket' is available now. 'The Preludes EP' is available in September. Thabo are playing at The Institute, Birmingham on Monday 14th, O2, Oxford on Tuesday 15th and Green Man Festival, Wales on Friday 18th August. Check their website for further dates.